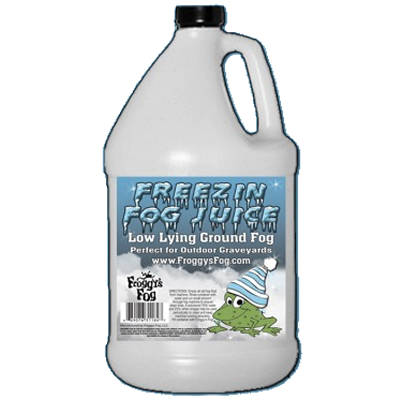 Make sure to use Froggys Fast Dissipating Fog instead of Froggys Freezin Fog for Indoor Low Lying Theatrical Effects / Stage & Studio Fog that needs to dissipate before rising above the ground. You must use a Fog Chilling Device to create Low Lying Fog Effects! 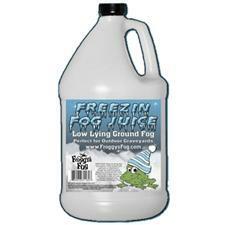 All Froggys Fog and Haze Fluids are made from lab-grade UV-Filtered de-ionized water and pharmaceutical grade chemicals, each approved by the FDA.